Braces are a thing of the past! If you have an overbite, underbite, spacing, overly crowded teeth or teeth that shift frequently, try Invisalign. Transform your teeth without braces today! A beautiful smile is achievable with Invisalign! 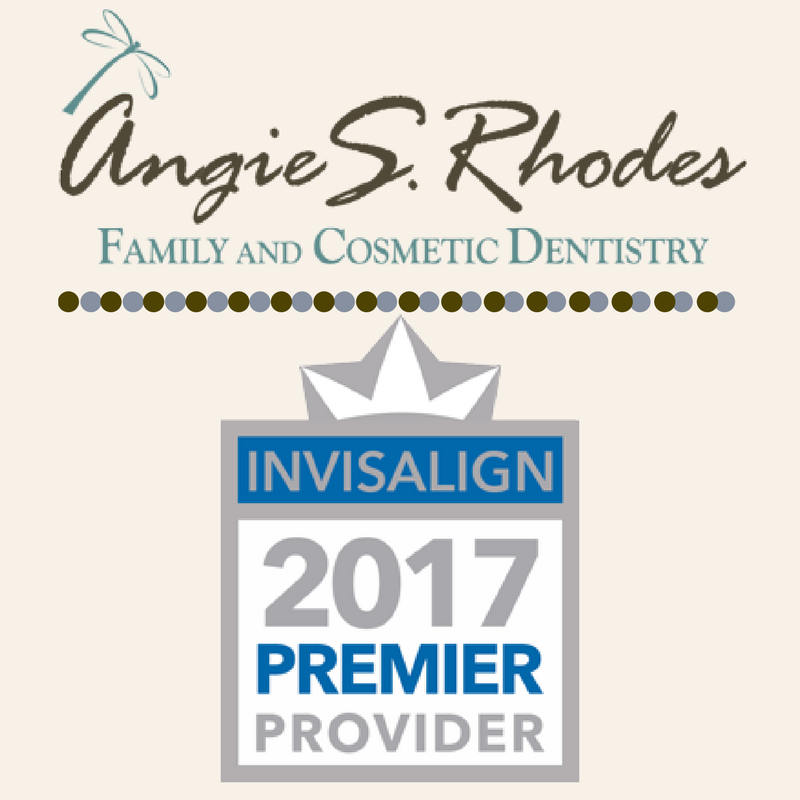 Dr. Angie Rhodes has been incorporating Invisalign into her practice since 2007. With 10 years of experience treating patients with Invisalign, Dr. Rhodes will help you with Invisalign treatments. Invisalign will correct several situations and transform your smile. One of our patients referred to the Invisalign program as a life changer. It is a fabulous tool for adults who want to transform their smile without the gaudy appearance of braces. We can take impressions outside of the mouth for an easier experience than regular traditional impressions. Our advanced technology can scan your entire mouth and you can immediately see the impression results on our computer screen. And you can see what’s achievable with Invisalign. Talk with Dr. Rhodes at the consultation and she will help you decide what your options are and you want to attain with Invisalign. Your impressions will be sent off to Align Technology and a series of custom aligners will be created for you. Braces contain brackets and wiring, but Invisalign is made BPA-free plastic that will not protrude far off your teeth. They just fit flat and snugly on your teeth. The aligners are smooth and your oral tissue will not be irritated by Invisalign. This will keep any sensitive oral tissue safe, unlike braces. Invisalign starts working from the very first day. Some patients will only need Invisalign for less than a year. Each of the aligners will be worn for two weeks. After two weeks, switch to a new set of aligners. Each set of aligners will move your teeth a few millimeters and as time progresses, your teeth become straighter. See progress the whole way through- millimeter by millimeter. Invisalign is like a removable retainer. Aligners are easy to remove. Keep them in every day, but remove them for good dental hygiene like brushing and flossing. Also, take the aligners out to eat. Show off your smile and don’t hide your teeth another day. Choose Invisalign and Dr. Rhodes will be sure to make it a great experience. Call us today to schedule a complimentary initial consultation.